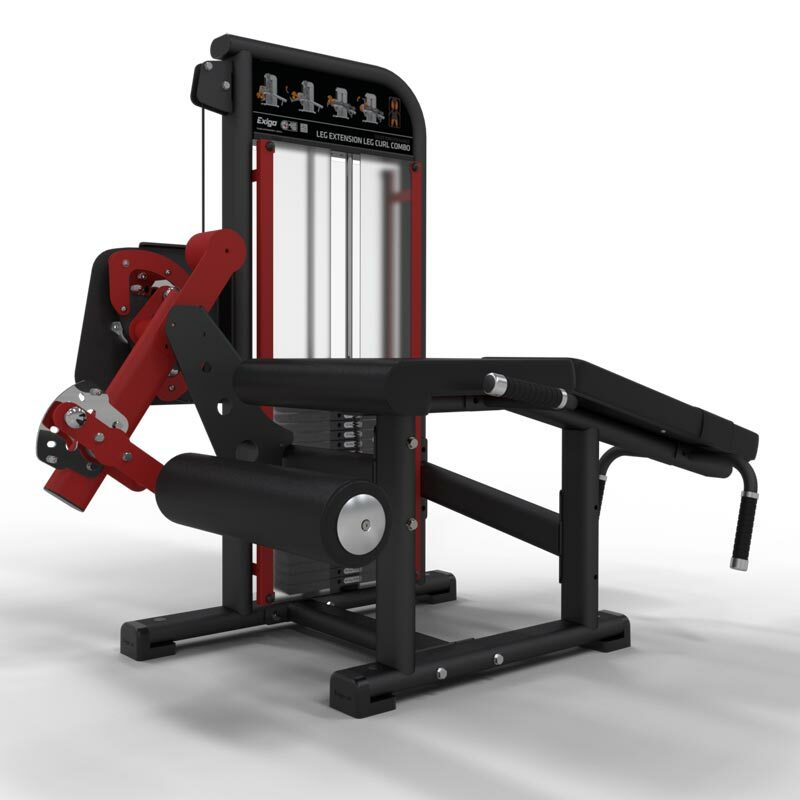 The Exigo Leg Extension/Leg Curl Combo is a dual-function machine used to target both the hamstrings and quadriceps. This machine is designed with an angled bench and features an adjustable leg pad to enable correct user positioning, along with hand grips for increased stability. Angled bench pad isolates hamstrings. Dual machine which includes leg combination compared to the 1065 Lying Leg Curl (Single) space saving combination design/2 machines in one. Adjustable leg pads and hand grips for increased stability. 100kg weight stack, instruction plaque highlighting exercise and particular muscle groups targeted.